Brazilian Health Minister Ricardo Barros on Tuesday inaugurated a central control center that will deal with health problems and emergencies during the Summer Olympics and the Paralympic Games. 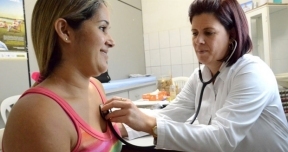 The Integrated Joint Health Operations Center, or CIOCS, in Rio de Janeiro will provide 24-hour service with a staff of 125 professionals, focusing exclusively on coordinating the work of health-care personnel. 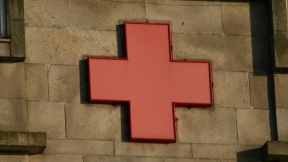 The CIOCS, among other functions, will monitor and coordinate high-risk situations, regular health care, epidemiological and sanitary efforts, and responses to public health emergencies. The new center is designed to provide “the most effective health monitoring possible during the Games and be ready to respond as quickly as possible to any event,” Barros said. The CIOCS will be managed from the Rio de Janeiro Operations Center and is scheduled to be fully operational on July 29, a week before the opening of the Olympic Games. The center will remain open until September 26th, eight days after the end of the Paralympic Games. The cities of Brasilia, Sao Paulo, Belo Horizonte, Salvador and Manaus, where Olympic soccer games will be played, will operate under the same control system used in Brazil since 2011 for large events, such as the 2014 World Soccer Cup and the 2013 World Youth Day. Olympic organizers expect that 90 percent of medical needs will be met at competition venues. In the event of accidents with multiple victims, the city of Rio de Janeiro has a reserve of 235 hospital beds, of which 135 are in federal hospitals, 50 in municipal hospitals and 50 in state hospitals. For the duration of the Olympic and Paralympic Games, Brazil has hired an additional 2,500 health professionals and 3,500 contractors, who will perform inspections and eliminate vectors of the dengue virus. The Health Ministry has invested 72 million reais ($22 million) in the acquisition and maintenance of 146 new ambulances to respond to any emergency during the competition.